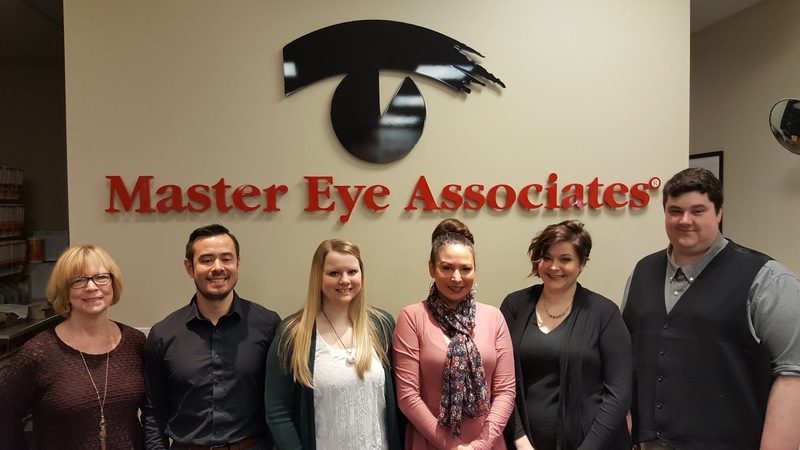 They will try to accommodate your busy schedule by finding appointments that suit your needs, help you understand your insurance coverage and if financial arrangements are necessary, we will be glad to help you develop a plan to make your vision care treatment possible. Lauren has enthusiastically chosen the medical field as her new career. She is passionate about helping people and making a positive difference in our community. Lauren is a lifelong resident of Vancouver. Lauren loves spending time with her two wonderful cats, Louie and Lyla. She also enjoys taking walks and being with her family. Lauren is an avid Oregon Ducks fan. Neil spent 5 years in the Navy as an Optician and an Optometric Assistant. He recently separated from the Navy to pursue Optometry School and currently attends WSU Vancouver to satisfy the prerequisites. Neil loves working in the medical field and is passionate about providing an amazing experience for patients. 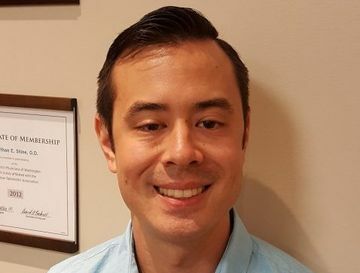 He is thrilled in joining Dr. Stine’s office, a place that embodies the values of teamwork, commitment, and a caring environment for both patients and employees. 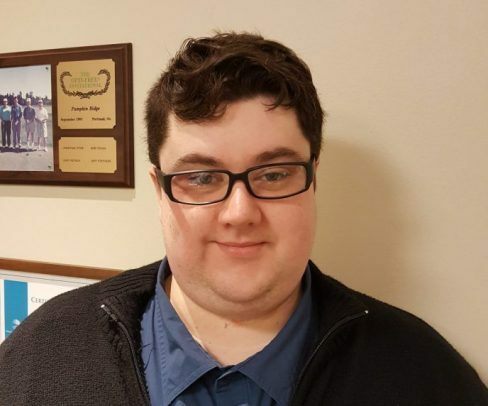 Outside of work and school, Neil enjoys staying active with motorcycles, snowboarding, hiking and working out. He also loves traveling to new countries and enjoys spending time with close friends and family. 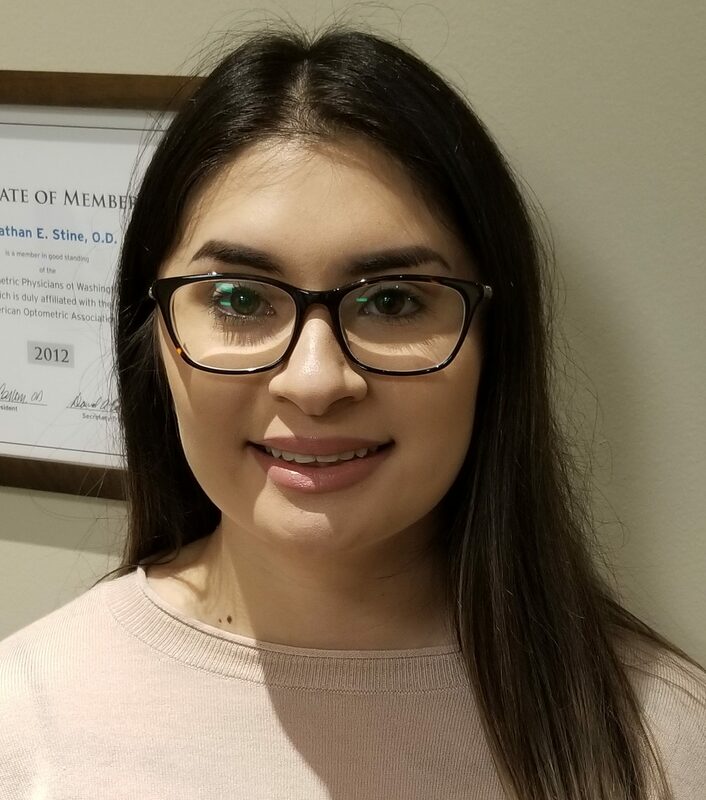 Erika became an Optometric Assistant because she enjoys working with and interacting with people. The eye is fascinating to her and she loves to find new fun facts about how it works. She brings a positive attitude and willingness to learn to work each day. Erika invites you to come by and have a great experience with our talented and friendly staff. When off work Erika enjoys being outdoors so she can experience the beauty of nature, which appeals to her artistic nature. Jessica chose the Optometric field because she enjoys helping people and is fascinated by the eye’s anatomy. Jessica was born and raised in Vancouver. When off work she likes to be around her family and friends. She especially enjoys exploring downtown Portland and its many diverse restaurants. 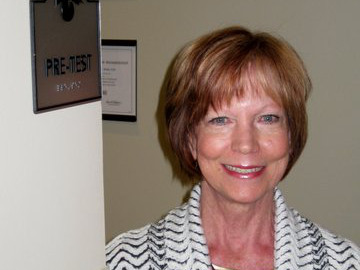 Shannon feels privileged to have been involved with the eye care industry for more than 25 years. 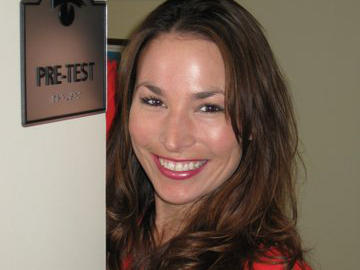 She is committed to making patients happy by providing quality service in a caring and professional manner. 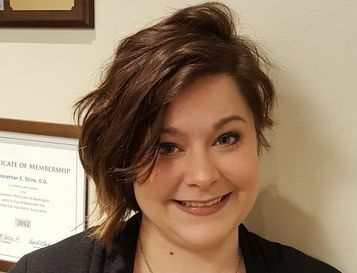 As Eye Care Administrator Shannon oversees the running of our office, maintaining quality control to make sure that we can give the very best experience to each patient we see. She is a great listener, and can empathize with patients’ needs. As such, she is a strong advocate to maximize insurance benefits for our patients. A graduate of the University of Washington, Shannon has Bachelor of Arts degrees in both Psychology and Communications. Prior to joining the optical field, she devoted ten years to television as a news producer. Shannon’s passions include family, friends, cooking, reading, and traveling.